While the Hendee Manufacturing Co. was the largest motorcycle factory in the world in 1911, and sold more bikes to the US military during WW1, after the war they lost their sales edge to Harley-Davidson. Indian exported 50% of its output in the 1920s, and actively supported racing on British and European soil, giving factory support (meaning money and machinery) to a team managed by Billy Wells, the British Indian importer, from 1909 onwards [read the Billy Wells story here]. 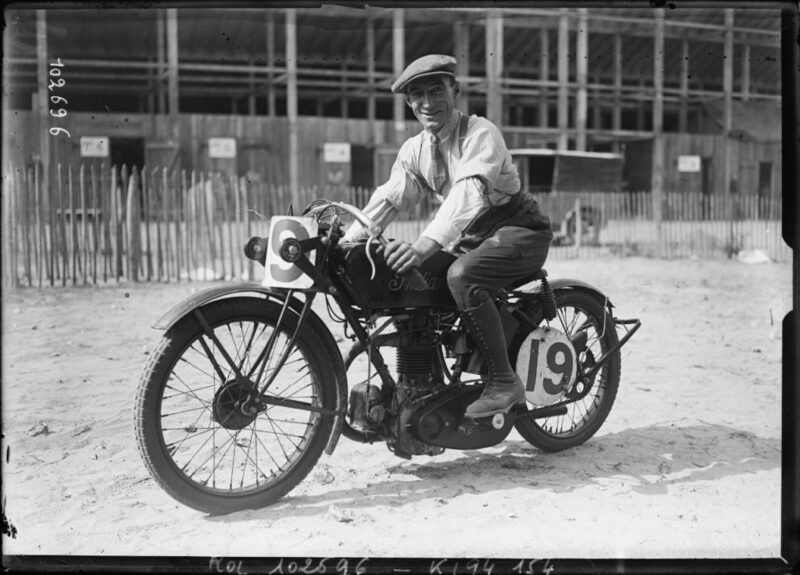 Wells and his special Indian racers found great success at Brooklands and the Isle of Man, which peaked in a 1-2-3 victory for Indian at the 1911 Isle of Man TT [read that story here]. 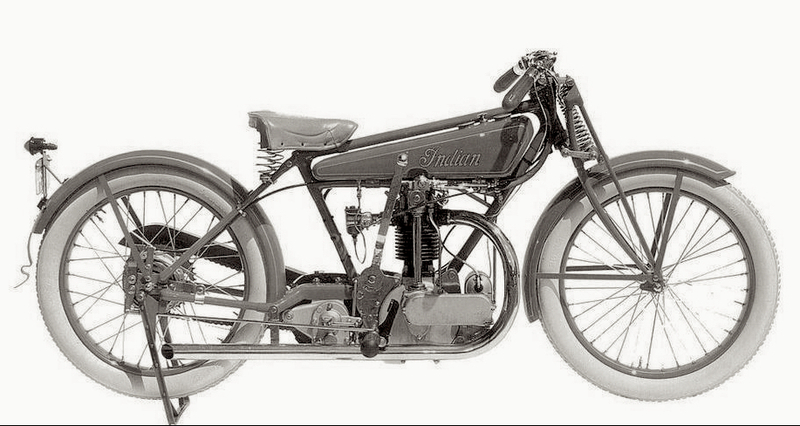 Indian continued to send factory specials to Britain up until that country entered WW1 in 1914. 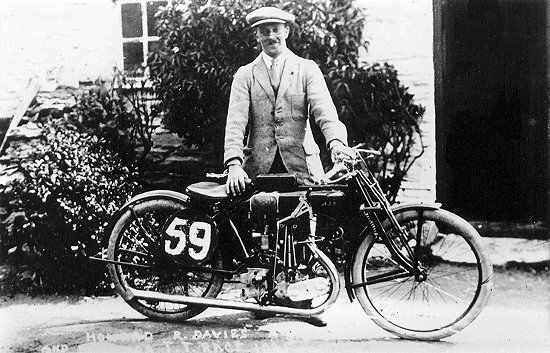 After the war, when racing resumed, Indian carried on giving factory support to riders: the first Isle of Man TT was held in 1920, and HR Harveyson made 5th place on a 500cc Indian Scouts, while his team-mate DS Alexander made 6th. The first four places in the race were taken by Sunbeam (Tommy DeLaHaye won on one) and Norton sidevalve singles, so CB Franklin, Indian’s chief designer, chose to make ‘half a Scout’ – a sidevalve single – for his European racers. 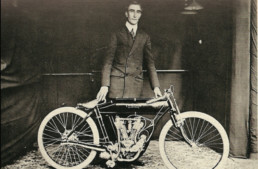 Indian’s best result at the Isle of Man TT in the 1920s was taken by professional racer Freddie Dixon, who managed 2nd place in the 1921 Senior, on a factory-supplied 500cc sidevalve single. He was beaten by Howard R Davies (who soon founded his own motorcycle brand – HRD), in the only instance where a 350cc machine won the Senior TT! The AJS that beat Indian showed the way forward, as a light OHV single capable of very high revs, and a sidevalve motor would never again win the Isle of Man TT. Pushrod OHV machines would dominate racing until 1930, after which a pushrod motor would never again win the Senior TT, and OHC engines dominated large-capacity racing for the next four decades…until two-strokes gained dominance in the mid-1970s. 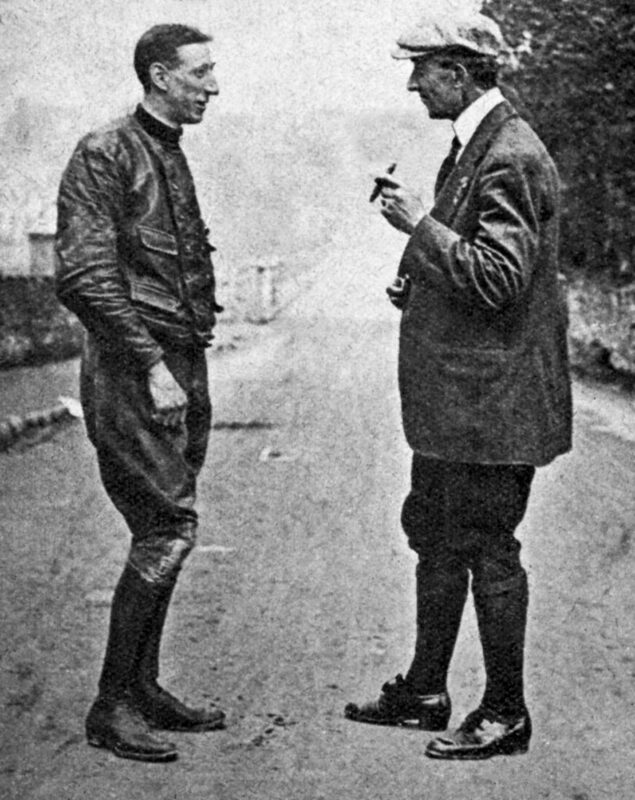 Charles B. Franklin, the Irish road-racer (and Brooklands tuner, who discovered the ‘squish’ effect in combustion chambers ten years before Sir Harry Ricardo), became chief of design at Indian by 1916, and saw the writing on the wall. He immediately began work creating Indian’s own version of the AJS single-cylinder motorcycle (affectionately called the Big Port), which could be offered (like the AJS) with either a sidevalve or OHV top end: this became the Prince model. 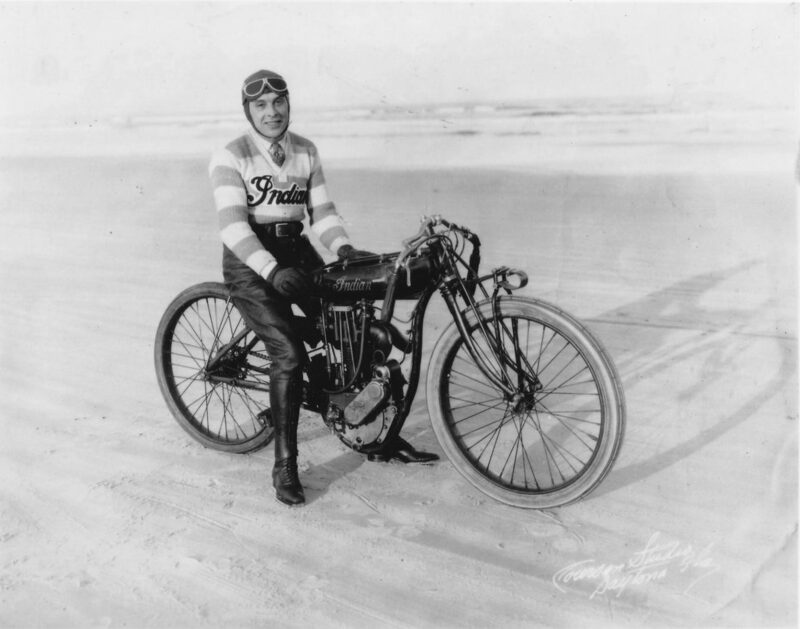 Franklin also designed specialized single-cylinder racers with two- and four-valve top ends, and twin-cam timing cases using bronze covers. Franklin also built an overhead-camshaft 350cc single, which has always struck fans of Velocettes as a near copy of the 1925 Model K. It’s been documented that in 1925 Franklin purchased a new Velocette Model K for study; the Velo was the first OHC motorcycle with a proper recirculating oil system, and positive lubrication to the camshaft, which was the number one problem with all previous OHC motorcycles – poor lubrication and cooling, with unreliability the result. 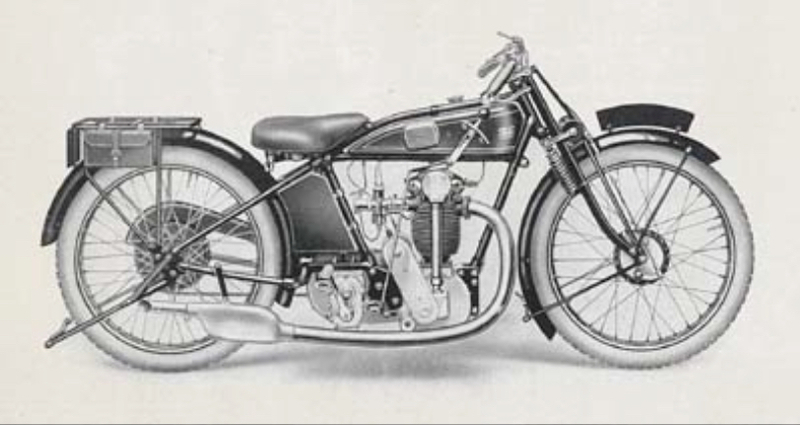 The Velocette Model K was first available in 1925, and Franklin’s new OHC Prince was racing the same year, so it’s possible that Franklin didn’t copy the Velocette design at all. It might have been a coincidence, or a possibly a development of the obscure OHC Indian V-twin prototype of 1916, designed by Charles Gustafson. Regardless of the origin of Franklin’s motor, it’s clear the chassis of the Prince was a dead copy of the 1921 AJS that beat Freddie Dixon! With an open ‘keystone’ frame, a casting lug beneath the saddle tube with two slots for sliding the gearbox back and forth to adjust the primary chain, and a light fork, a quick glance at both machines tells the tale. The engine looks similar in architecture to the Velocette Model K, but the cylinder head is very different, with virtually no cooling fins, and looks more like a board track Indian head with a camshaft on top. Franklin certainly had the capacity to make an experimental motor quickly, but what if he’d been working on his own OHC single? Without his notes, we’ll never know. We do know that Velocette’s experience with an OHC motor was not an immediate success. The engine didn’t develop the power they expected, even though they copied a successful camshaft profile for their design (probably AJS, as they had the most successful OHV design at that date). 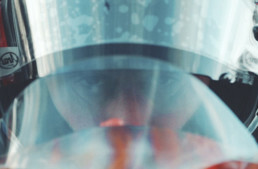 It took a stroke of inspiration by Eugene Goodman, the son of Veloce founder Johannes Gutgemann/Goodman, to watch the cylinder head with a stroboscope, which finally clued them in on what was happening: OHV engines like AJS relied on ‘valve float’ at high revs for its performance, which mimicked a ‘hot’ camshaft design, keeping the valves open far longer than the camshaft shape suggested. Since on OHC motor has more positive valve control than a pushrod design, the first Velocette K motors were dogs, without the benefit of extended valve opening duration created through valve float. Once they’d sorted the issue, new cams were designed, and Velocette shortly had a TT winner. 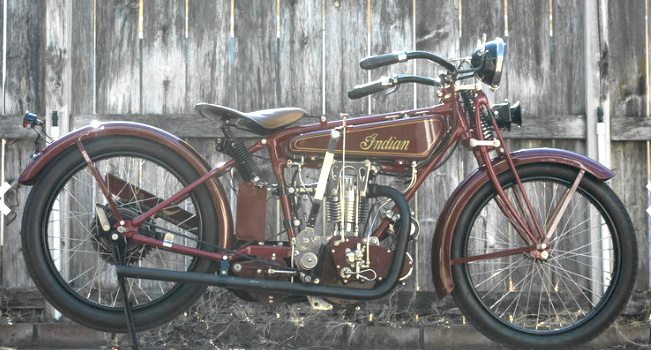 Franklin built more than one Indian OHC Prince, but it’s not clear how many, and until very recently, it was assumed the bike was tested for a while, then dropped. 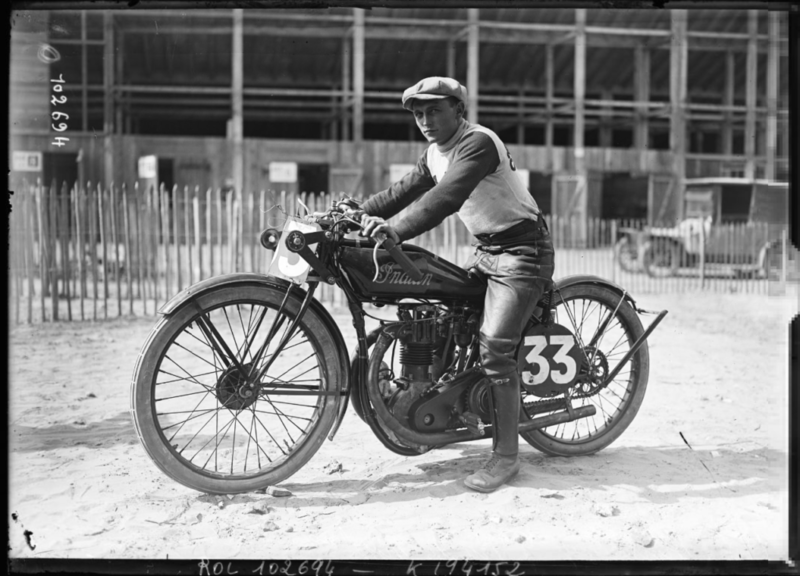 But Tim Pickering, author of ‘Franklin’s Indians’, was recently alerted by Isabelle Bracquemond (of the Indian Club of France) that photos had recently emerged in the Biblioteque Nationale of France, showing an OHC Indian single at the Monthléry speed bowl in 1925, along with an OHV racer. 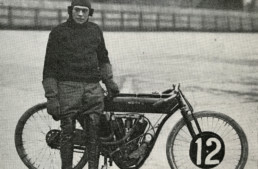 The presence of two factory racers in France suggests Franklin was developing the OHC Indian single, and/or the OHV racer, for the European GP series, to bolster European sales of the Prince. It was classic ‘race on Sunday, sell on Monday’ thinking, followed by every factory that supports racing. In this light, the reason the OHC Indian was dropped was the sudden disappearance of the European market to American manufacturers. Protectionist tariffs enacted in Britain in 1925 (written by Winston Churchill) eliminated their biggest export customer, and the the intended sales target for the new Prince line. 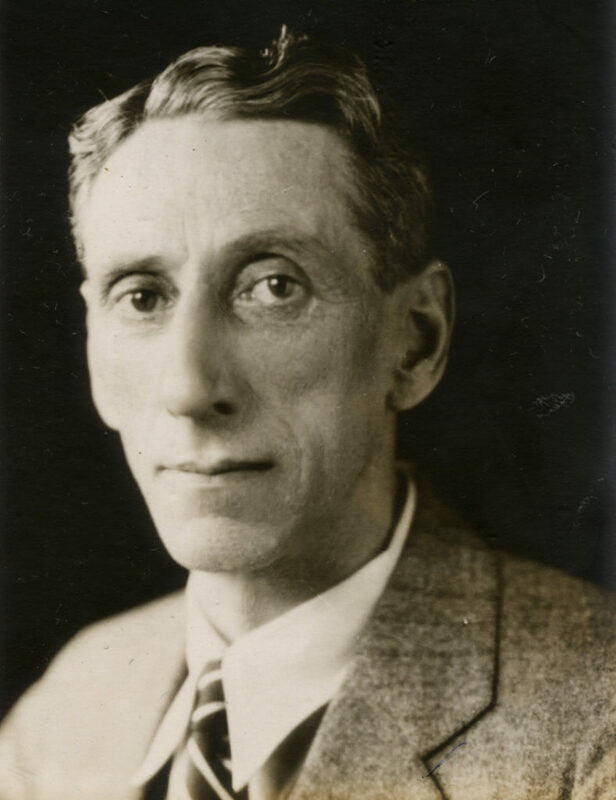 Billy Wells was forced to close his Indian import office that year, so there was no reason to further develop the Indian single-cylinder line, as it was never intended for the American market at all. Then as now, the home customer wanted a big, powerful, and heavy-duty V-twin, which is what Indian carried on making in the 1920s through their demise in 1953. The two Indians racing at Montlhéry in 1925 were both factory specials. The OHC bike, raced by future French national champion Francois Gaussorgues, is presumably making its one and only appearance in European (or any other) racing. Its chassis is nearly identical with the production Prince, but the pannier tanks, dropped handlebars, and André-pattern fork dampers tell a different tale. The other racer, under Paul Anderson, is the 4-valve 500cc single with a twin-cam timing chest that had already proven itself the year before on American and Australian dirt tracks. It was a devastatingly fast machine, and recorded 112.6mph at Daytona beach in early 1926. The story of Indian-supported racing in Europe ends there. It’s a case of politics drastically altering the course of history: import duties killed Indian racing, and all American racing participation in Europe for decades to come. Had the tariffs not been in place, Indian would have carried on developing racers for the GP circuit to bolster their European sales. Instead, American motorcycle manufacturers turned inward, competing solely against each other for the next 15 years, until the first British and European racers appeared on US soil in the late 1930s. It meant American manufacturers stuck to sidevalve motors for racing through the late 1960s, and that Harley-Davidson’s only radical act – introducing the OHV Knucklehead in 1936 – would probably have been preceded by an OHV Indian V-twin road bike long before, as was the typical pattern between the two American giants: Indian innovated, and Harley-Davidson followed. Read more about Franklin’s Indians here.